Were it not for Reb Noson, the closest disciple of Rebbe Nachman of Breslov, the Rebbe’s wisdom would have been lost to the world. Fortunately for us, Reb Noson amassed his considerable strengths, scholarship, and courage in the face of tremendous obstacles to insure the continuation of the Breslov movement after the Rebbe’s passing. He did it by printing all of Rebbe Nachman’s writings, composing his own key texts to explain and expand on the Rebbe’s teachings, organizing the annual Rosh Hashanah pilgrimage to the Rebbe’s grave in Uman (which continues to this day), and visiting and keeping up a lively correspondence with Breslover Chassidim throughout the Ukraine. 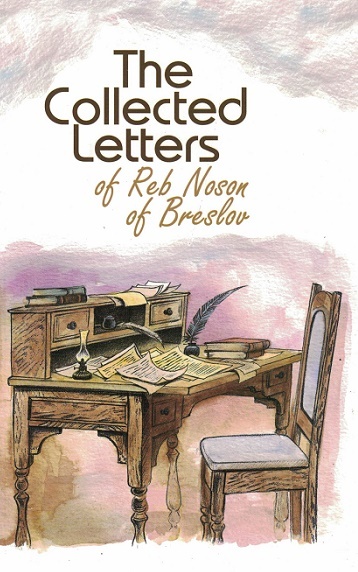 Reb Noson left a treasure trove of letters to inspire future generations as well. Filled with encouragement and advice for putting Rebbe Nachman’s teachings into daily practice, these letters speak intimately to each one of us. They inspire us to keep our minds on our true purpose in this world, and apply Rebbe Nachman’s message of faith to our everyday challenges and trials. This English-language edition has been reprinted in two attractive, softcover books enclosed in a handsome slipcase. It contains nearly 500 letters, including selected missives from Reb Noson’s son, Reb Yitzchak, and his closest disciple, Reb Nachman of Tulchin. Come enter the world of Reb Noson in the light of Rebbe Nachman, and come away enriched.